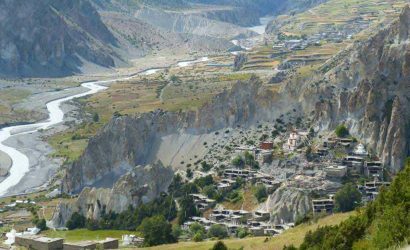 Dolpa district (also referred to as Dolpo) lies in the trans-Himalayan region of north-west Nepal. Dolpo remains as an isolated and one of the remotest areas and is generally dry, cold and sparsely vegetated. 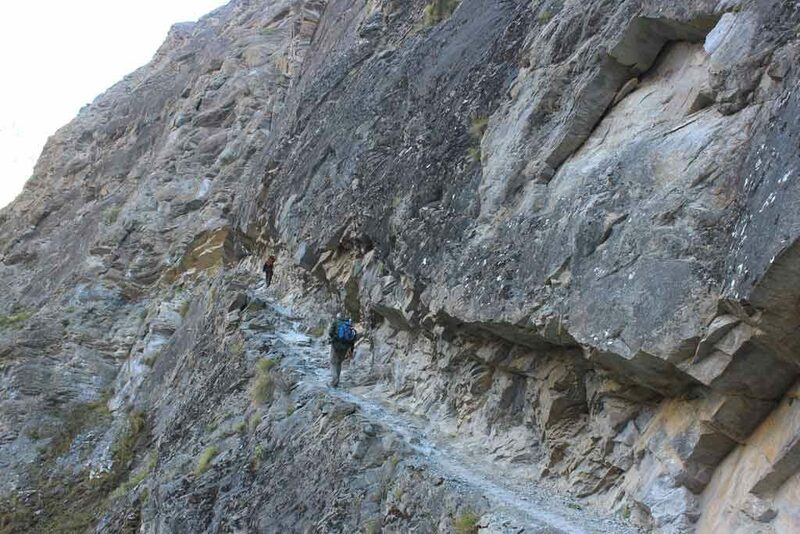 A trek through Dolpo will be an experience of lifetime. The major attractions of Dolpo are the wild and pristine landscape, unlike to most other parts of the Nepal Himalayas. The scenery of fascinating ancient villages, high passes, beautiful Phoksundo Lake and remote Buddhist monasteries are the additional highlights. 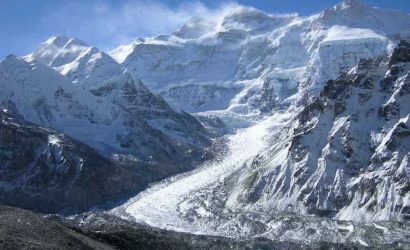 It is a part of the Tibetan Plateau and is still a land of mystery and also well-known as “Ba Yul” or the ‘hidden valley’. 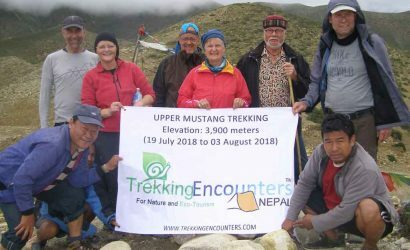 Dolpo made open to foreign trekkers since mid-1989 only and then Upper Dolpo Shey Gompa trek program came in operation. 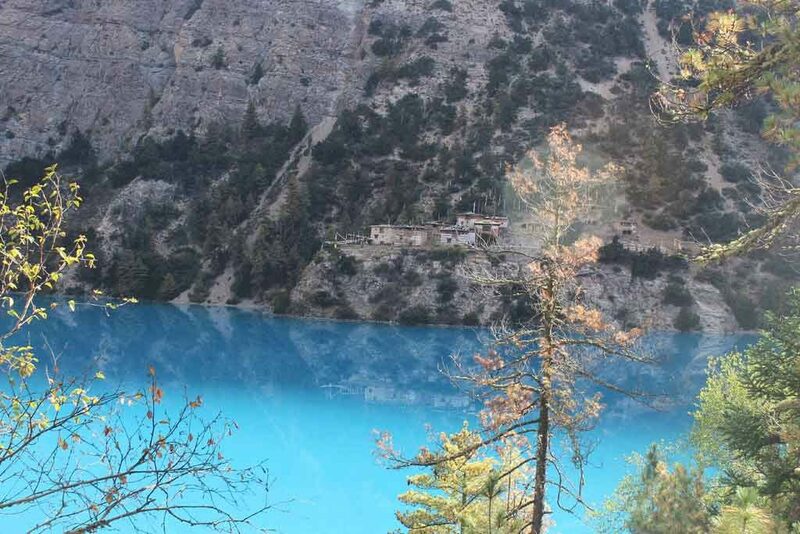 The Dolpo region splits between two very distinctive areas as Lower Dolpo and Upper Dolpo. Special Permits are necessary to enter both the sections. The finally preserved ecosystem encompasses a wild and wonderful variety of plants and wildlife. The park is home to many rare and endangered animal species including the snow leopard, musk deer, blue sheep, Tibetan wolf and 29 species of butterflies including the highest flying butterfly in the world. 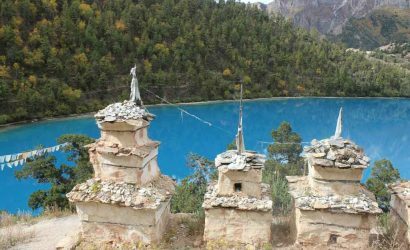 Trek to Upper Dolpo starts after the Phoksundo Lake and includes a visit to the popular Shey Gompa monastery (4,500m/14,764ft). 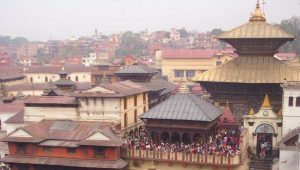 This region has a long characteristic of mysticism about it. 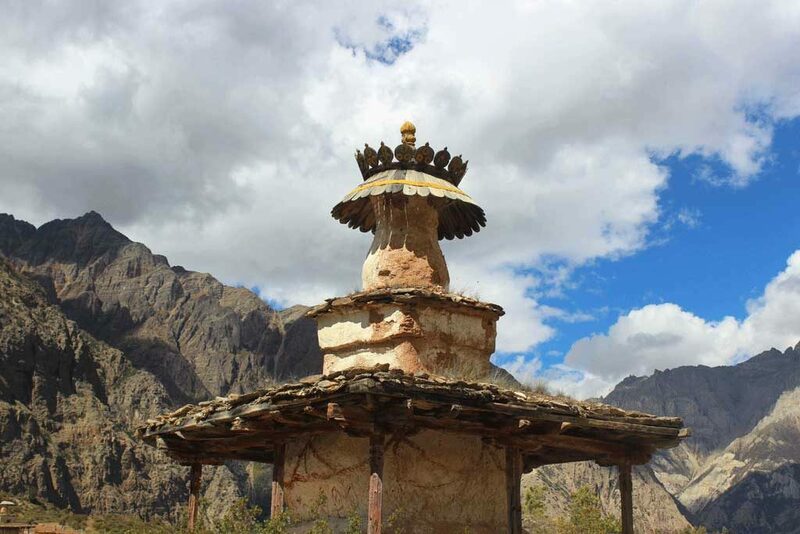 A great Tibetan influence can be experienced while travelling inside Dolpo. The villagers of Tibetan stock are skillful traders taking their yak caravans between Tibet and Nepal. The air strip at Juphal allows access connecting a flight between Nepalgunj and Juphal. Looking for soft Dolpo trek? 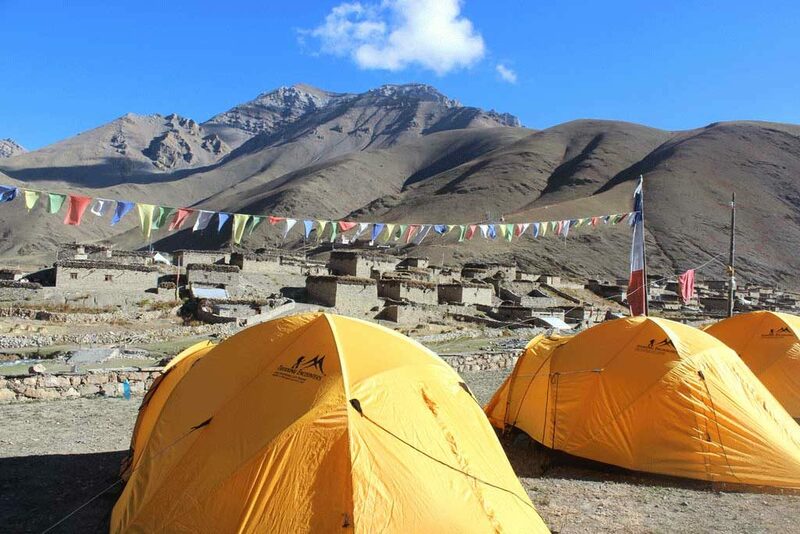 Then Lower Dolpo trek would be the right option. 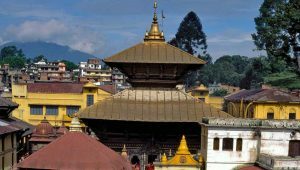 Fly Nepalgunj to Dolpo (Juphal) and trek to Sulighat (2,900m/9,514ft). Trek Sulighat to Rechi (2,940m/9,646ft). Trek Rechi (2,940m/9,646ft) to Ringmogaon (3,600m/11,811ft). Trek Phoksundo Lake to Phoksundo Khola (3,510m/11,516ft). 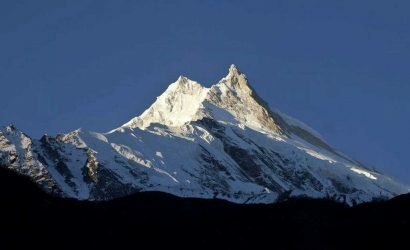 Trek Phoksundo Khola to Phoksundo Bhanjyang (4,405m/14,452ft). Trek Phoksundo Bhanjyang to Shey Gompa crossing over Kang la pass (5,360m/17,586ft). Rest day at Shey Gompa (4,500m/14,764ft) for excursion. 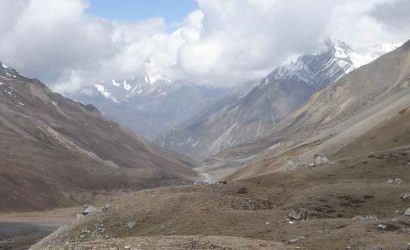 Trek Shey Gompa to Namduna Gaon (4,800m/15,748ft) crossing over Saldang la pass (5,200m/17,061ft). Trek Namduna Gaon to Saldang (4,100m/13,452ft). Trek Saldang to Sibu (4,560m/14,961ft). Trek Sibu to Jeng la Phedi (4,370m/14,337ft). Trek Jeng la Phedi to Dho Tarap (4,050m/13,288ft) crossing over Jeng la pass (4,845m/15,896ft). Rest day at Dho Tarap for excursion. 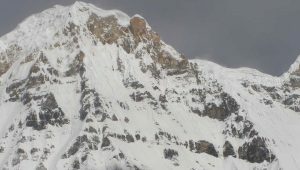 Trek Dho Tarap to Nauri Odar (3,800m/12,467ft). Trek Nauri Odar to Lahini (3,370m/11,056ft). Trek Lahini to Sahartara (2,730m/8,957ft). Trek Sahartara to Dunai (2,150m/7,054ft). Trek Dunai to Juphal (2,400m/7,874ft).